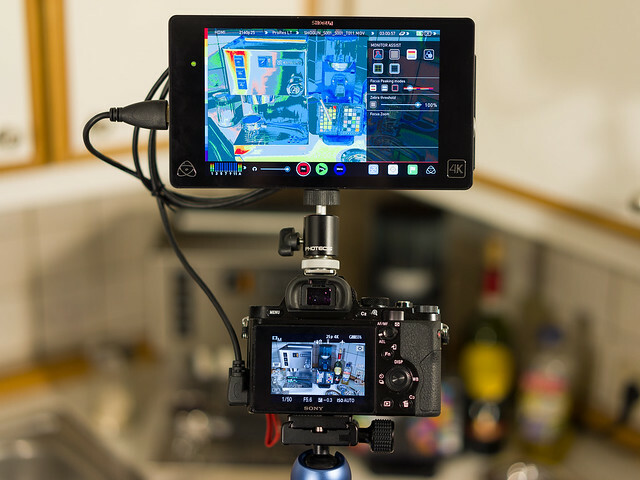 Atomos assures to release the remaining features in a few weeks. 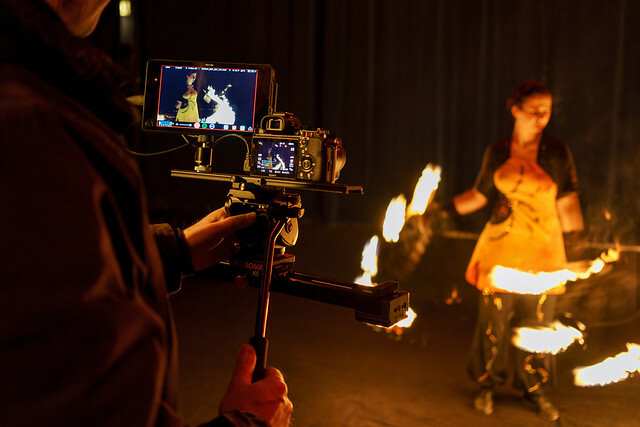 The good news is that the most important feature - the 4K ProRes HDMI recording - is available right now in order to enable the full 4K recording performance of the Sony A7S. Although there are a lot of accessories coming with the device, I wish they would have added a HDMI - microHDMI cable as well. 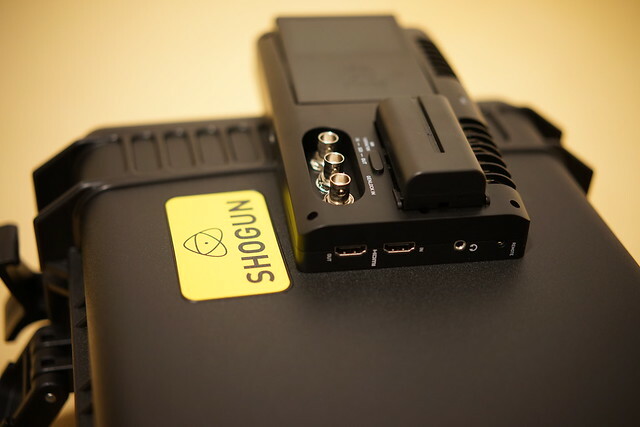 The image above shows the backside of the Shogun Recorder with some of the connectors (SDI in & out, Genlock, HDMI in & out, Stereo line out). On the other side you find an Audio Lemo Connector and the DC Power connector. A first look at the functionality is promising. The focus aids (1:1, 2:1 magnification, focus peaking) in combination with the crisp IPS display with 1920x1200 pixels are very helpful. Also the "false color" display mode helps very good to find the correct exposure. 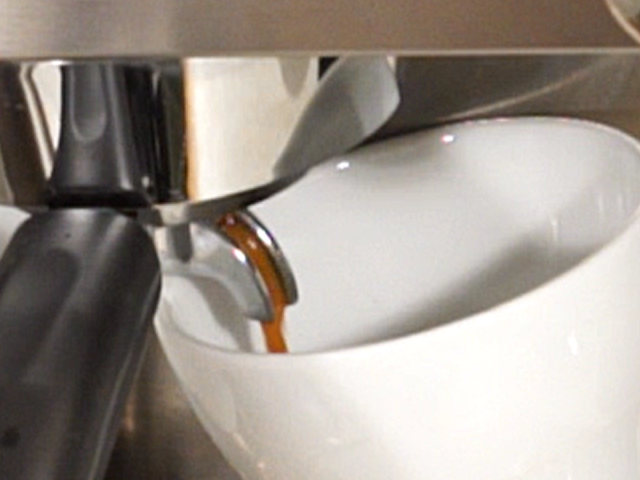 If you extract snapshots from a 2160p recording, the resolution is amazing - comparable to a still shot. The ProRes HQ video stream is recorded with 10 bit 4:2:2. Although the Sony A7S delivers 2160p with only 8 bit, you now have the option to generate downsampled 1080p material with a quality comparable to a 10 Bit 4:4:4 HD recording. With a 500 GB SSD (e.g. 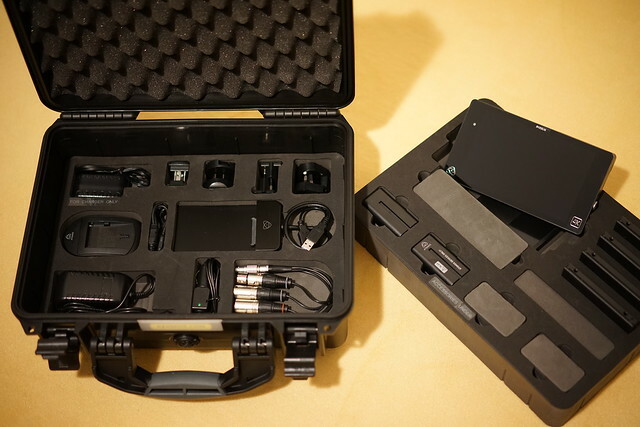 the Samsung Evo 840) you can record about 1h 24min in ProRes HQ or about 3 hours in ProRes LT. I determined that the disk appears to be write protected when connected to a Windows PC using the caddy docking station (which is a SATA to USB bridge) coming with the Shogun. At the moment I am not sure if this is a general problem or particular for my configuration. But as the disk (a Samsung EVO 840 "Basic" 500GB with latest firmware) can be written and formatted in the Shogun, it does not seem to be a problem of the SSD itself. - Open a command prompt with administrative permissions. - look for the volume named "SHOGUN"
After this procedure I could successfully save the new firmware to the disk and install it to the Shogun. Also after reformatting the disk, it was still writeable under Windows, so it looks like a permanent solution. If you post that to another forum, please give my web site http://3D-Kraft.com a credit. 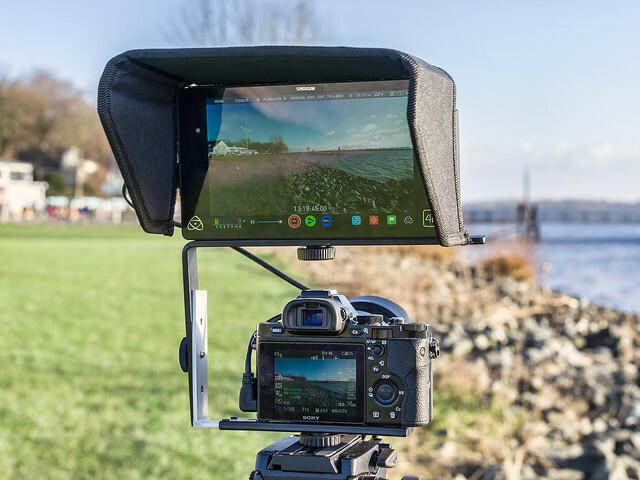 At the time of this writing, Atomos lists the Samsung EVO 840 and EVO 850 series as "not recommended" because it may take up to 20 seconds to boot up / mount the drive. I think this is too vague and I can not confirm that for my EVO 840 Basic 500 GB SSD. The Shogun boots up in 10 seconds and I had no issues with 4K recording so far. I think it depends on the particular model (there are "Basic" and "Pro" models) and the firmware release of the disk (Samsung provides the "Magician" software to maintain and update the disk). Due to the terrible weather we have in most parts of Germany since about ten days, I made a quick indoor-comparison. The scene was filmed with an A7R (internal codec), A7S (internal codec) and A7S + Shogun. On the A7R the standard picture profile was used and DRO was set to level 5. On the A7S the picture profile 6 was set and inside that Cine Gamma 4 was choosen. In all cameras ISO was at 1000 and sharpening was set to "0" (which means, there is still a little bit sharpening). The Shogun was set to use the Apple ProRes LT422 codec (I simply forgot to reset it to HQ but for this undynamic test scene it does not make a significant difference). The Shogun was set to display "false colors" which gives you a good idea about the exposure in the picture (I like it better than the wave form graphics). 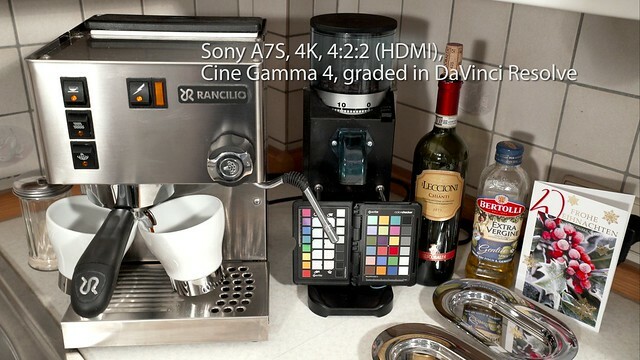 The grading for the CineGamma4 footage was done in DaVinci Resolve 11, no sharpening was applied in post. Please do not forget to switch the player to full screen mode and adjust the resolution in the video player tool bar to the highest resolution you have available on your display device. Please note that the YouTube compression also uses a chroma subsampling to 4:2:0. In the original 4:2:2 footage the color information is protected even more significant although the same grading was applied to the XAVC-S and the ProRes LT422 clips. Looks like the A7S internal recording with some picture profiles maps only to a range with values from 16 to 235 whereas the signal recorded from the HDMI output uses all possible values between 0 and 255. I am not sure if this is an issue of the Sony A7S or if it is just a workaround on limitiations caused by some decoders like the one that comes with Quicktime. You may have to take this into account during grading when mixing footage recorded internally with footage recorded via HDMI. The following little test compares footage that was recorded in 4K ProRes HQ 10 Bit 4:2:2 (coming from the Sony A7S in 8 Bit 4K 4:2:2) downsampled to 1080p with footage recorded internally in the Sony A7S with XAVC-S 8 Bit 4:2:0. Picture Profile was set in both cases to Cine Gamma 4 and "Pro" gamut; in the upper parts only little grading was applied (see in the beginning the color checker test chart). ISO was 200. 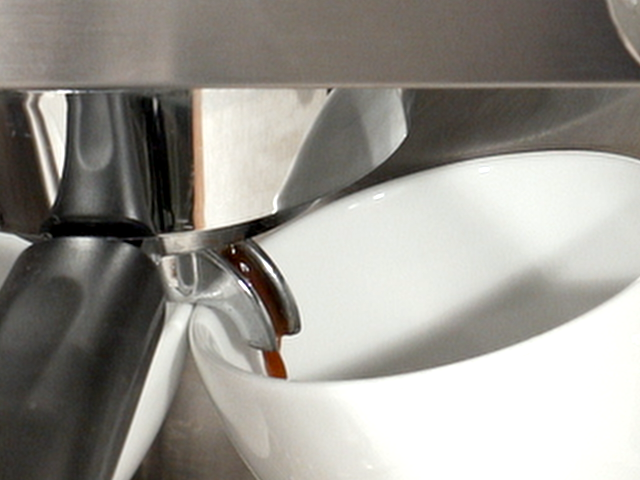 The left side quarters show the downsampled 4K footage, the right side shows 1:1 crops from the internal 1080p footage. The quarters in the lower half got a strong stretching of the tonal values in order to get potential banding more visible. 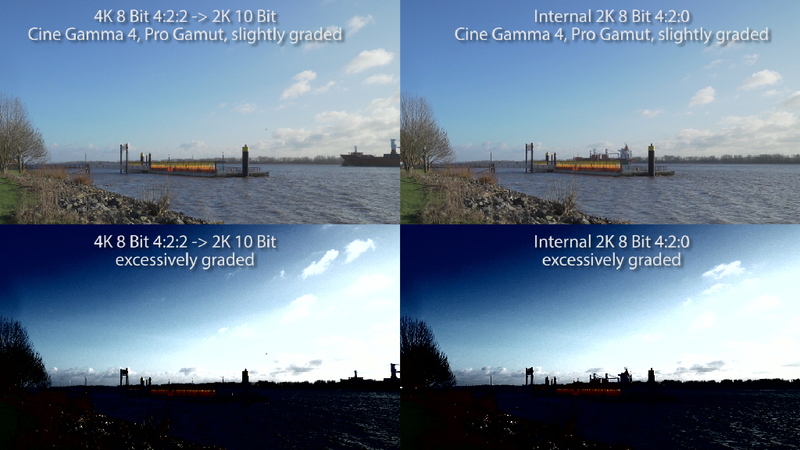 The graded internal 8 bit 4:2:0 XAVC-S footage keeps up surprisingly good due to noise dithering the gradient and "hiding" a sginificant part of the banding. The original file uploaded was encoded using a XDCAMHD 4:2:2 codec. When you download it at Vimeo (account required), you can see the rendering in much better quality than in the reencoded stream. The MXF file can be played with VLC. I think the reason for the quite little difference and the surprisingly good result of the internal encoding in that example is the noise, which is strongest in the blue channel (even at base ISO and with the sensor of the A7S). The XAVC-S 50 Mbps encoder keeps the noise quite well without blurring and so you keep a significant amount of "noise dithering" through the whole workflow which helps to hide the banding. As Stefan Czech used a light gray sky instead of a blue sky in his comparison video, in his case there was less "noise dithering" in the footage which helped to bring out the differences. The noise is, what affects the YouTube reencoding much stronger than on Vimeo, if you compare the result in this example on YouTube. Meanwhile Atomos added the playback function and in V6.11 there is another fix for the playback. 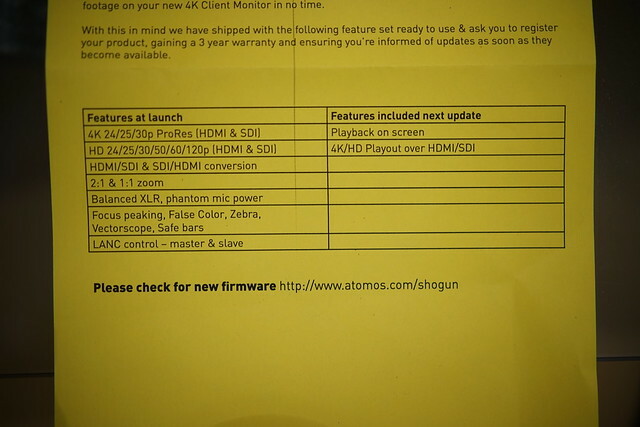 I saw a blog that said, Atomos will ship the Shogun with a larger battery starting from end of January and that earlier buyers will get this as a free upgrade. I will let you know when I got a shipping notice from Atomos, that confirms it. Firmware version 6.2 now provides record and playback in DNxHD and DNxHR (4K), downscaling at the loop out port and 3D LUTs.